Sony has added a new Handycam camcorder to its lineup that is perfect for summertime action near the water. The new camera is the HDR-GW77V, and it can capture full HD resolution video and 20.4-megapixel still photos indoors and out. 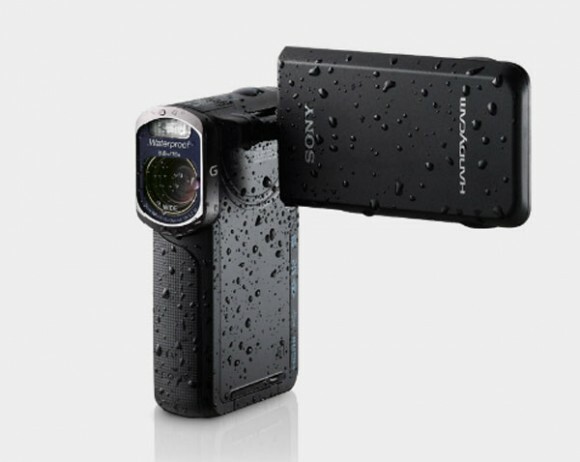 The big feature of the camcorder is that it’s waterproof to 16-feet and has a three-inch Sony Xtra Fine LCD. interaction and remains fully operational when submerged. The camera also supports Underwater Mode to adjust the white balance for underwater conditions so color still appears normal. The camera is also ruggedized with shock resistance and dust resistance to make it durable and able to survive drops from about 5 feet up. The camera uses a back illuminated Exmor R CMOS sensor to improve clarity and to reduce grain and noise in low-light conditions. 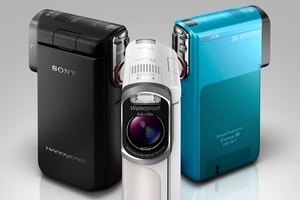 The camcorder also has an integrated flash and supports Sony’s Intelligent Sweep Panorama mode. Other features include face detection and motion detection. The camera has 10 times optical zoom and records video to 16 GB of integrated flash storage. That is enough storage for four hours of HD video content in HD LP mode. Sony also integrates Optical SteadyShot and the camera has integrated GPS for image tagging. The camera will launch later this month for around $700.